Want to nerd out with a Bunsen Burner? Or see what nastiness you can grow in a Petri dish? Then you'll have a blast (hopefully not an atomic one) with a college Chemistry textbook rental. The study of chemical substances and their subatomic particles (our faithful friends the proton, electron and neutron), has been a human fascination long before Dr. Bunsen Honeydew and his shell-shocked assistant, Beaker, began conducting breakthrough experiments in The Muppet Show Labs. From Organic Chemistry to Quantum Mechanics to Biochemistry, the field is vast, colorful and, at times, explosive. And what better way to score some points in pub trivia than to know a few key symbols in The Periodic Table of the Chemical Elements? Rent Chemistry textbooks and join sorcerers, mad scientists, and observers of Mole Day everywhere in answering the burning question: "What's the matter?" 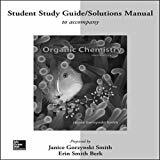 Not looking for Chemistry textbooks? You can rent computer science textbooks or browse through some of our other textbook rental categories.